You must be a member of the Barcelona Football Fans Group to attend this activity. Would you like to join this group? Again and again, and this time for the Copa del Rey Championship. But even always special. 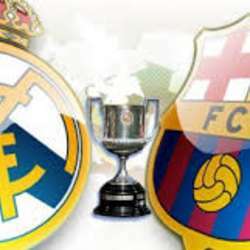 This season there is an extra Clásico but not least exciting. Join us to watch which of the two is going to the Final! Come to meet other International people after work, and enjoy the game.